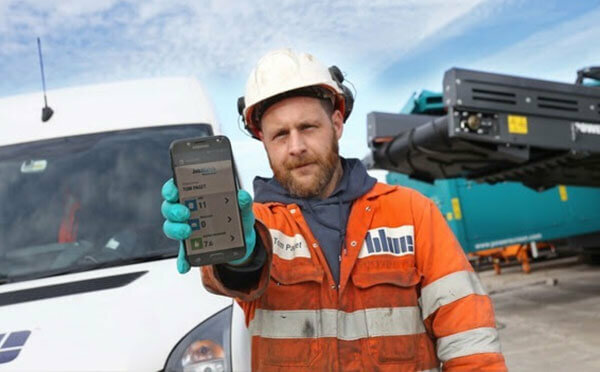 Leeds, UK, 4th December 2018 – BigChange, the mobile workforce technology company, today announced that it has enhanced JobWatch, its award-winning mobile workforce and job management system, with a new collaboration tool that makes it quicker and easier for organisations to manage work undertaken on their behalf by trusted third-party contractors. The collaboration tool allows companies to allocate jobs to subcontractors at the click of a button and remain in control of work done with an online audit trail and real time progress updates. Partners working in the field are automatically provided with relevant information and access to the appropriate job sheets on their mobile devices. The tool is now available at no extra charge to BigChange customers around the world. Research commissioned by BigChange shows that 84% of UK organisations already deliver some core business activities through third-parties. Two thirds (64%) of organisations have increased collaboration levels over the last decade and more than a quarter (27%) of all core business activities are now delivered through partners. Collaboration is the second major enhancement made to JobWatch in 2018. In April, BigChange launched a customisable mobile application enabling its customers to offer on-demand booking of their services from any smartphone or tablet. Fully integrated with the JobWatch system, these on-demand booking apps allow end-users of services offered by BigChange customers to quickly and easily find appropriate appointment slots and schedule service visits.